When I ask myself that question, I’m not sure how to answer it. I think I’m somewhere in the middle, honestly. It’s probably not the best thing for growth – but over time I’ve realized that taking things too seriously can set you up for some major let-downs. On the other hand, not treating your blog like a business doesn’t propel growth and set you up for success. As I’ve been working on getting to know my readers more, I realized that a lot of you want to take our blogs from hobby to business, but don’t always know how. For some of us, spending money on things to help us grow our blogs feels counter-intuitive. Most of us start blog with the intention of earning from it. 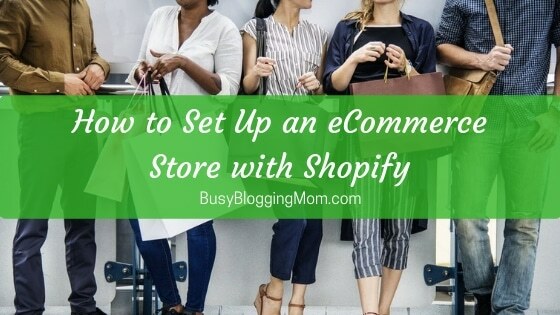 I know that as a stay-at-home mom, one of my biggest motivators is supporting my family financially with my blog, and spending more money on my blog sometimes feels like the opposite of what I need to do. So for some of us, what’s holding us back from taking our blog from hobby to business is money. For others, it’s time. Most of my readers are busy moms who blog on the side, and I don’t blame them one bit for having other things to do that work on a blog. Plus, if you’re working a traditional job, blogging almost certainly takes the back-burner. And with so many different tasks required to maintain a blog, growth is probably slow-going. Others might be holding back because they simply don’t know what path to take. What’s the best use of time? What are the smartest investments to make? What does taking your blog seriously mean? What deciphers a hobby blog from a blogging business? 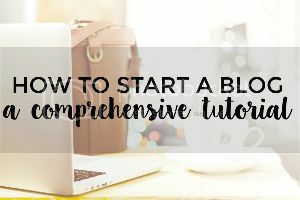 Are there certain steps you can take to take your blog from hobby to business? The truth is that I’ve asked myself all of these questions (I don’t think I’m alone there). But taking your blog from hobby to business is a critical step in “making it” in the blogging world. Blogging does take a lot of time and effort. There are investments to be made – in time and money. It’s a slow-going game, but the potential is what keeps us going. We can’t just sit around and HOPE that our dreams (blogging related, or not) will come true, can we? No! 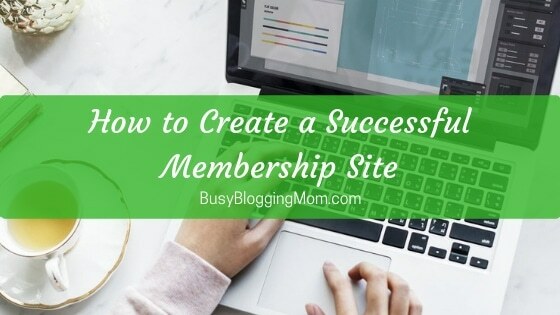 But of course, there’s no EXACT line that separates hobby blogs from business – just like there’s no true definition of success in the blogging world. It all depends on your goals and needs! However, there are things you can do to move in a more “serious” direction. Take a look! Start with small monetary investments. You don’t have to spend big bucks to grow in the blogging world. Determine what’s important for your blog depending on your niche and goals, then choose one or two new things to invest in each year. I battled the idea of spending any more money on my blog before finally spending money on a year of Tailwind (a Pinterest scheduling tool). Why? Firstly, because I reminded myself that brick-and-mortar business average $30,000 in startup costs. Can you imagine spending that much on a blog? Never! But people have to take risks and invest in order to grow. 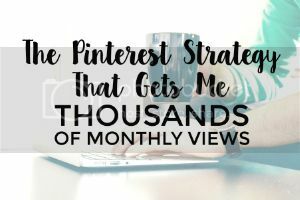 Secondly, I attribute a huge chunk of my success on Pinterest to Tailwind (see my Pinterest strategy here). Otherwise, I have only made small investments (like PicMonkey Royale) because I want to start making more before I spend more. But you do have so spend some to make some. This one has been super hard for me, but being consistent is extremely important for blog growth. The more I post on the blog and on social media, the more exposure I have. I am doing okay with posting regularly, but I’m still struggling with the emailing and Facebook groups. I also have a history of taking big “breaks” from the blog, and each time I have done that, I’ve seen major dips in traffic. The point is that whether or not you have a set schedule, you should aim to be more consistent in your blogging efforts. It can help with visibility and productivity. Hone in on your niche. 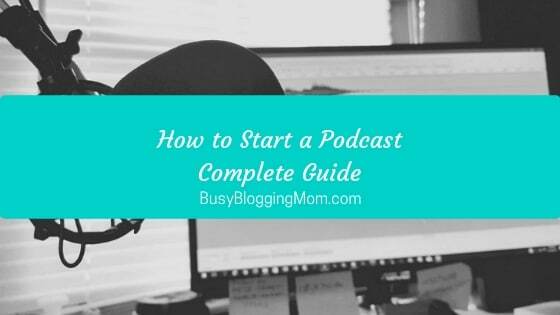 This one is SO hard when you’re starting out and the blogging world just feels so wonderful and full of possibilities. I know that I used to want to write about everything – and the compulsion is still there sometimes. But in order to really reach readers that are engaged and willing to buy, you really have to get specific. I just want to help moms financially now, and that has helped me forge community in the blogging world. 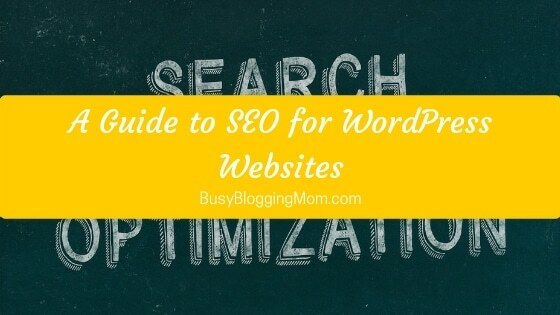 If you’re struggling to concentrate on just 2 or 3 related topics on your blog, consider thinking about your ideal reader and your most popular posts. This one has also been tough for me as a graphic design newbie. So, I’ve decided to keep it simple and practical – which is exactly what I’m like in real life. I’ve finally started to settle into this, although once I have the money, I’m sure I’ll get my site professionally designed. However, I see other bloggers absolutely rocking this. Their logos, colors, and graphics scream their attitudes and personalities to the virtual world and that helps them establish a commanding presence. Get over the idea of competition. There’s enough room for everyone, really! There’s only one YOU! Instead of seeing other bloggers in your niche as competition, befriend them and help them! 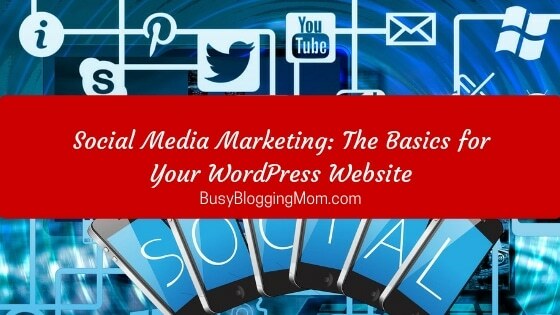 Most people are extremely grateful for genuine (though virtual) blogging connections, and it’s a great way to market yourself. As soon as you start befriending more people in your niche, you’ll start seeing more traffic and opportunities. Stop comparing yourself to other bloggers. I’m not a blogger that’s full of funky phrases or cuss words. My blog isn’t insanely colorful and I don’t think I’d consider myself quirky. But other bloggers use those things to distinguish themselves online. My writing voice is something I’d consider practical and down-to-earth, but I don’t have anything that’s outlandish or extremely memorable. Why? Because I don’t feel the need to omit any other attitudes other than practical, helpful, and down-to-earth. But that’s true to who I am in most areas of my life. Bloggers shouldn’t feel pressured to share things that aren’t genuine, but they should share their personalities by all means! Find out who you are as a blogger, decide how much personality to show, and stick to it! Nothing is worse than giving up. That inconsistency I mentioned is bad for business, too. Protect yourself from overdoing it so that you don’t feel compelled to take big breaks or give up entirely. For me, that means trying to make my social media strategies “set and forget” and not putting too much weight on my numeric social media goals. (Also, I try not to worry about page views too much.) Things don’t always go as planned, so some flexibility is key! If you’re just trying things in the blogging world (social media strategies, writing about certain topics, following certain people) but not reflecting on them, you may never really know what works and what doesn’t. Bloggers who are serious about taking their brands from hobby to business try new things but take a serious account of what works and what doesn’t. I personally keep a blogging notebook full of everything I do daily. I also write down my monthly goals in it, brainstorm, and take down notes from courses and articles I like. I am constantly tweaking my strategies. You can do this by keeping track of what you do, setting goals, using your analytics from Google and social media, and just by being observant. Learn from others but focus mostly on your own trial and error. What other things do you recommend for bloggers who are trying to take things from hobby to business?